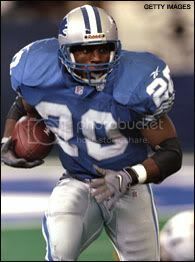 HARD HITTING DETROIT LIONS FORUM - View topic - Are we switching to the 3-4? Are we switching to the 3-4? They don’t seem to be worried about DE or DT this year. We have enough defensive linemen for the 3-4 already. DEs are pretty much just run defenders in the 3-4. Ziggy would switch to OLB. Reavers Maybin was an ILB wasn’t he? Re: Are we switching to the 3-4? I don’t think a true switch is in the works, but multiple variations that we’ve seen in NE for so long. Utilize the players in their best roles, rather than tryin to force square pegs in round holes like they’ve been doing for a decade. The Lions will run all sorts of sets this year, 4-3, 3-4 and 3-3. I think the defense is going to be a 'work in progress' all season. I think the idea is going to be is can the defense keep it close enough for the offense to win games. We'll be running a multiple look front that will be more efficient than the old schemes we were running. Like a poster above said utilizing our players strengths more so than trying to put a square peg in circle. whoa whoa whoa, lets start with getting the right number of people on the field. Kind of unfair to hold the sins of the old coaching staff against the new one, don’t you think? Patricia is probably going to do the same thing except it will be anything but vanilla. 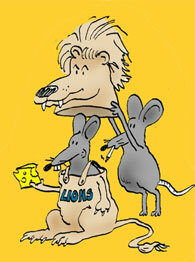 I don't see the Lions doing exactly what they did in N.E. because Patricia isn't the coordinator, but it will resemble it. The theme is versatility with players able to do more than one thing so multiple looks can be given keeping the offense from getting comfortable and to disrupt their matchups. To tell the truth, I don't see us with the personnel to run a base anything.